Because of technical requirements, this concert will be presented in the Colwell Playhouse rather than the Foellinger Great Hall. The performance will last approximately 70 minutes with no intermission and no late seating. 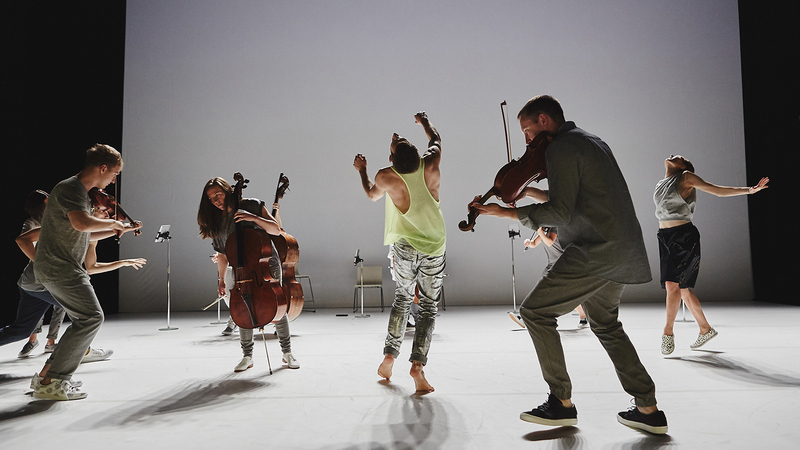 This tour of Andersson Dance and Scottish Ensemble: Goldberg Variations——ternary patterns for insomnia is supported by Creative Scotland, The Swedish Arts Council, Stockholm Stad, Region Stockholm, and The Barbro Osher Pro Suecia Foundation. Come explore the Music and Performing Arts Library’s extensive collections in the lobby of Krannert Center! The Pop-up Library will offer items from its collection related to performances on April 2, 2019, for you to browse and borrow. Please bring your University i-Card or Courtesy Card to check out materials. Applications for University Courtesy Cards will also be available. The Pop-up Library will be open from approximately 6:30pm to 9:30pm. The Music and Performing Arts Library is one of the largest public performing arts libraries in the world. It is home to books, scores, recordings, and play scripts related to music, theatre, and dance.